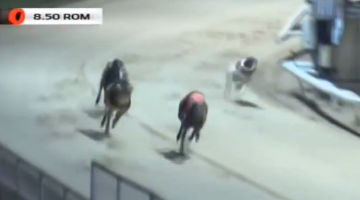 It took seven years and eight days for Blonde Snapper’s 450m Sunderland track record to be beaten, but Droopys Trapper (Laughil Blake-Droopys Sylvia, Oct 16) reduced it by ten spots to 26.49 when landing the three-runner final of the William Hill Puppy Plate. Angela Harrison’s 2-5f – whose previous best was 26.78 – beat Pinpoint Junior by nine and half lengths. It was his fifth win in as many completed races, though fate did appear to be shining on him as he looked well beaten before the original race was voided.